Pulmonary fibrosis is a life-altering chronic condition that causes the tissue inside the lungs to thicken and scar over. This process makes it more difficult for air to effectively move in and out of the lungs and can result in great discomfort and shortness of breath for those who have it. In most cases, the disease is idiopathic, meaning it has no known discernible cause. 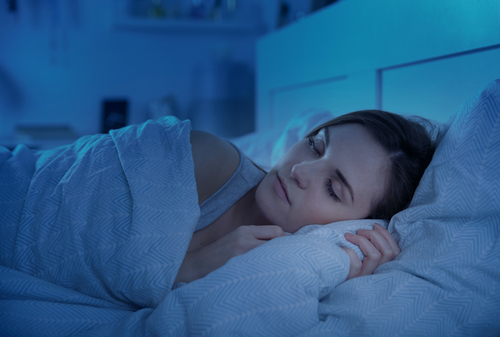 For people with pulmonary fibrosis or any other chronic condition affecting the lungs, getting enough sleep is essential to overall well-being, quality of life and physical and mental health. People with pulmonary fibrosis are especially prone to sleep problems, which are often related to shortness of breath, general discomfort, anxiety, obstructive sleep apnea, coughing and more. These top five tips can help any person living with pulmonary fibrosis reap the benefits of a longer, deeper and more comfortable sleep. Recent scientific literature has established a strong link between obstructive sleep apnea and pulmonary fibrosis, with upwards of 88 percent of those with the former also developing the latter. In people with pulmonary fibrosis, treatment for sleep apnea can increase both the length of survival and the quality of life versus those who do not seek such treatment. A sleep study is the best way to determine if you have sleep apnea or other sleep-related disorders — and if you do, to determine what the best treatment is for your condition. If your physician or healthcare provider prescribes you a CPAP machine as part of your treatment for a sleep disorder, adhering to this treatment regimen is the single best way to improve your sleep quality. 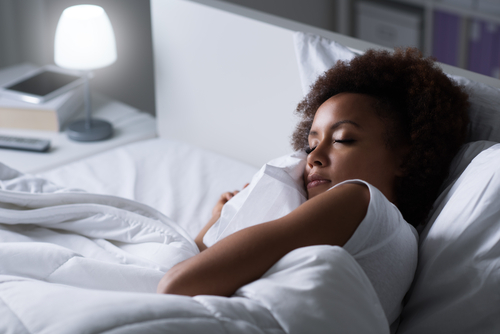 For most people with pulmonary fibrosis who struggle to sleep at night, the difficulties that arise related to shortness of breath are due to the fibrosis and constriction of their lung tissue. Doing breathing exercises is one of the best lifestyle changes to improve your breathing and allow you to sleep more comfortably. Some lung exercises that are most commonly recommended for people with pulmonary fibrosis include pursed-lip breathing, diaphragmatic breathing, huff coughing and forced coughing — though depending on your lung anatomy and capacity, others may be recommended as well. Incorporating these breathing exercises into your nighttime routine will have you drifting off in no time. 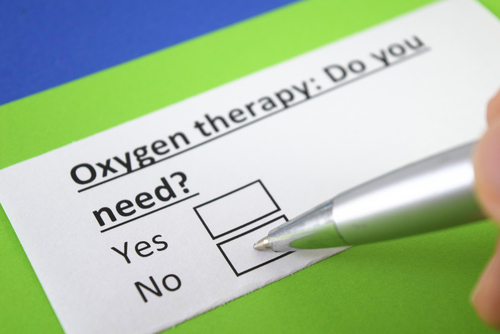 Oxygen is commonly recommended and prescribed for people with pulmonary fibrosis. Essentially, since oxygen has a harder time entering the lungs through scarred tissue, delivering a more concentrated hit of oxygen to the body’s tissues will help relieve shortness of breath. Typically, oxygen will be delivered by nasal cannula, a flexible plastic tube that goes into the nostrils. If you need oxygen at home, wear it and use the correct amount recommended by your physician or respiratory therapist. If you wake up short of breath in the night, the first thing you should do is reach for your nasal cannula, make sure it is in place, and check that your oxygen is turned to the right setting. There are a number of techniques and strategies you can employ to make yourself feel more comfortable and at ease if you wake up feeling short of breath. If your oxygen has turned off during the night, make sure you turn it back on, or if you sleep with another person, ask them to help you make sure it is on. If you sleep alone and remain scared or anxious, it is a good idea to call a friend or loved one who can comfort you. If you remain extremely short of breath, call your local emergency number for assistance or medical advice. Another important tactic for relieving shortness of breath is positioning your body for optimal air entry into the lungs. It is really important that people with shortness of breath related to pulmonary fibrosis learn how to position their body for optimal breathing and easier entry of air into and out of the lungs. Firstly, the ideal position for sleep is either on your side or on your back with your head raised using pillows or a wedge. If possible, avoid sleeping with your bed flat or lying on your stomach, as these positions make breathing more difficult. If you wake up in the night feeling short of breath, it is best to position yourself with your chest upright and your head tilted slightly back. If possible, support your upper torso and chest on a table using your arms, and allow your chest to rise and fall naturally as you breathe.